Below please find speaker highlights for the 2019 California Maritime Leadership Symposium. 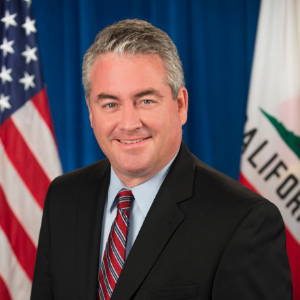 Mr. Brian Annis was appointed by Governor Edmund G. Brown Jr. in February 2018 as Secretary of the California State Transportation Agency, where he has served as acting secretary since 2018 and was undersecretary from 2013 to 2018. Prior to this appointment, Mr. Annis served as Deputy Secretary for Transportation at the Business, Transportation and Housing Agency. Mr. Annis served in various positions for the Senate Committee on Budget and Fiscal Review, including deputy staff director, principal consultant and consultant. He also served in various positions at the California Department of Finance, including principal program budget analyst, staff finance budget analyst and research analyst. Mr. Annis has also been an adjunct professor of economics at American River College and an economist for the Bureau of Labor Statistics at the U.S. Department of Labor. Mr. Annis holds a bachelor’s degree in political economy of natural resources from the University of California, Berkeley, and a master’s degree in economics from the University of Washington. Senator Jim Beall, a San Jose city councilman, Santa Clara County supervisor, and state legislator, has amassed over 30 years of expertise and knowledge in transportation, tackling a wide range of road, mass transit, and highway projects. In 2017, Senator Beall, chairman of the Senate Transportation and Housing Committee, played a pivotal role at the State Capitol by presenting solutions to California’s biggest problems – shoring up the state’s crumbling transportation infrastructure and addressing the shortage of affordable housing. He is the author of SB 1, legislation passed and signed into law this year, to increase funding by $5.4 billion annually for sorely needed repairs of California's aging transportation infrastructure. The bill has the capacity to create thousands of jobs statewide and it also invests $25 million into pre-apprenticeship and job-training programs to lift people into good-paying jobs with benefits. Senator Beall and his wife, Pat, live in San Jose. Senator Beall is a San Jose State University graduate with a degree in Urban Planning. Mr. Drew Bohan is the Executive Director of the California Energy Commission, the state’s primary energy policy and planning agency. The Energy Commission’s responsibilities include advancing state energy policy, achieving energy efficiency, certifying thermal power plants, investing in energy innovation, transforming transportation, developing renewable energy and preparing for energy emergencies. Mr. Bohan has served Californians for more than 20 years. His public service includes leadership roles with the Energy Commission, California Environmental Protection Agency, the Ocean Protection Council, and the California Department of Conservation. Mr. Bohan lives in Carmichael with his wife, Angela, and their two children, Linnea and Landon. He is an avid bike rider. Ms. Susan Bransen serves as the California Transportation Commission’s (Commission) Executive Director, reporting to the thirteen-member Commission. As the primary advisor to the Commission, she has a major role in affecting the outcome of all policies and actions adopted by the Commission. Ms. Bransen directs the affairs of the Commission including responsibility for programming and allocating billions in transportation funding annually for the construction of highway, passenger rail, transit and active transportation improvements throughout California. Most recently, she has led the effort to implement provisions of Senate Bill (SB) 1, the Road Repair and Accountability Act of 2017. Under her leadership this year, the Commission adopted accountability measures for and has invested approximately $25 billion in state and federal funding to projects throughout California, including more than $9 billion in funds generated through enactment of SB 1. Ms. Bransen also serves as a liaison on behalf of the Commission with the Legislature and the California State Transportation Agency Secretary in formulating and evaluating policies, plans, and funding for California’s transportation programs. She also serves as a member of the Toll Bridge Program Oversight Committee and the California Transportation Financing Agency. Mr. Stephen Cheung is the President of World Trade Center Los Angeles (WTCLA). The WTCLA is a non-profit organization working to support the development of international trade and business opportunities for Southern California. Prior to his current role, Mr. Cheung was the Secretary General for Los Angeles Mayors Eric Garcetti and Antonio Villaraigosa, and was responsible for managing policies and programs related to the Port of Los Angeles, Los Angeles World Airports, International Affairs and Global Trade. He arranged the Mayors’ international trade missions to China, Korea, Japan, Mexico, Brazil, Chile and Colombia, and was the lead organizer for the historic visit by the Chinese President Xi Jinping to Los Angeles in 2012. A proud Angeleno, Mr. Cheung was born in Hong Kong and grew up in Los Angeles where he received both his bachelor’s in Psychobiology and master’s in Social Welfare from UCLA. He currently serves on the Boards for the Sister Cities of Los Angeles and the UCLA Luskin School of Public Affairs. Ms. Kristin Decas repeatedly demonstrates her ability to build vision and implement strategy through open, collaborative processes that foster results. Since beginning her tenure at the Port of Hueneme in 2012, the Port has realized several successes. Tonnage totals have grown annually from 1.3 million tons in FY 2012 to over 1.6 million metric tons in FY 2018, marking the Port’s strongest sustained trade years since its inception. Ms. Decas championed the first annual Port Banana Festival, drawing over 12,000 visitors to the Port. Port related businesses generate $1.5 billion in annual economic impact and create more than 13,633 direct, indirect, induced and influenced jobs. Ms. Decas was the first woman to run both the Port of New Bedford in its 50-year history and the Port of Hueneme in its 81-year history. She was also only the 4th woman to chair the AAPA in its 103 years. Ms. Decas lives in Oxnard, CA with her husband, and is the proud mother of two daughters, Chloe and Gina. 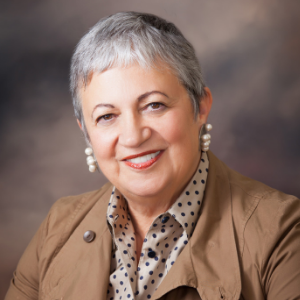 Ms. LaDonna DiCamillo is the Regional Assistant Vice President for BNSF Railway Company in Los Angeles. Ms. DiCamillo works with California communities to address rail-related issues at both local and legislative levels in an effort to facilitate trade growth and improve freight mobility while sustaining livability in the communities through which BNSF operates. Norman Fassler-Katz served as Senior Consultant to both the Assembly Select Committee on California Ports as well as its counterpart, the California State Senate Transportation Select Committee on California Ports and Goods Movement for 20 years. Mr. Fassler-Katz obtained his Masters Degree in Social Work from the University of Minnesota. His facilitative and organizational skills has made him uniquely positioned to play a significant role in the Maritime Transportation System of our state. Mr. Fassler-Katz played a prominent leadership role in developing the first successful Maritime Transportation Month celebration held at the state capitol in May 2002, continuing on through the present in the California Maritime Leadership Symposium. Mr. Fassler-Katz helped found and currently serves as the Executive Director of the California Marine and Intermodal Transportation System Advisory Council (CALMITSAC). His retirement from service to the California Legislature occurred on February 12, 2014. His work on behalf of the industry continues. Assemblymember Jim Frazier is the chairman of the Assembly Transportation Committee and a leading voice in Sacramento on protecting and enhancing California’s critical transportation infrastructure. Assemblymember Frazier, together with his Senate partner, led the effort to pass a historic transportation funding package for California. On April 6, 2017, the Legislature approved SB 1, the Road Repair and Accountability Act of 2017, which provides more than $5 billion per year in new funding for all forms of transportation. In keeping with Mr. Frazier’s top priorities, the main focus of the package is to fix the existing transportation network, both state and local, making it safer and work better for the traveling public. Additionally, the bill provides dedicated funding for the state’s trade corridors to make the movements of goods more efficient. SB 1 also dedicates new funding for public transit and bicycle and pedestrian projects to support a balanced transportation system. Mr. Frazier worked as a general contractor before being elected to the Oakley City Council in 2008 and serving as mayor from 2011 to 2012. During this time he also served as a Contra Costa County transportation commissioner. Frazier was first elected to the Assembly in 2012 and won reelection in 2014 and 2016. Mr. Nate Herman oversees AAFA’s government relations department, managing the association’s lobbying, policy, and regulatory affairs activities. Mr. Herman leads AAFA’s corporate social responsibility (CSR) program, formulating and implementing CSR policy and representing AAFA and the industry on CSR issues before governments, NGOs, and other key stakeholders. Mr. Herman also leads the association’s work on sustainability, transportation, logistics, and customs issues. In addition, Mr. Herman develops all apparel and footwear industry data and statistics as AAFA's resident economist. Prior to joining AAFA, Mr. Herman worked for six years at the U.S. Department of Commerce's International Trade Administration assisting U.S. firms in entering the global market. Mr. Herman spent the last two years as the Department's industry analyst for the footwear and travel goods industries. Mr. Herman received a Masters of Public and International Affairs from the University of Pittsburgh in 1994 and a Bachelor of Arts in International Relations and Economics from the University of Delaware in 1992. Mr. Jason Hodge, a second-generation Oxnard native, is not only Port of Hueneme Commissioner but also a local firefighter who strongly believes the Port of Hueneme is a vital but often underutilized asset of the local economy. Mr. Hodge is striving to change this by invigorating the Port of Hueneme/Oxnard Harbor District and focusing on environmental stewardship, economic opportunities, local job creation, and safety. To achieve this goal, he is bringing together community leaders and stakeholders from the private and public sectors. Mr. Hodge has collaborated with Port Commissioners throughout the state to develop best environmental practices, decrease the port’s environmental footprint while increasing economic output. During the last fiscal year the Port handled an all-time record amount of cargo. Mr. Hodge is the recipient of the prestigious New Leaders Council’s “40 under 40” Leadership Award beating out hundreds of nominees across the U.S. Mr. Hodge, a lifelong surfer, has caught waves from Point Conception to Malibu. He holds a B.A. in Political Science. Fran Inman, Chair, California Transportation Commission; Senior Vice President, Majestic Realty Co.
Ms. Fran Inman directs government relations and community affairs activities for Majestic Realty Co., one of the nation’s largest privately held real estate development companies. With a real estate portfolio totaling approximately 80 million square feet of commercial properties, Majestic Realty Co. has offices in Los Angeles, Atlanta, Bethlehem, Dallas, Fort Worth, Denver and Las Vegas. Ms. Inman is past chair of the board of the Los Angeles Area Chamber of Commerce and San Gabriel Valley Economic Partnership. She also serves as the vice chair for the California Business Properties Association (CBPA) and the California Business Roundtable (CBRT). Ms. Inman is also a founding board member of FuturePorts and a member of Inland Action and is on the Advisory Board of Mobility 21. She is also a long-time member of the Coalition of America’s Gateway Trade Corridors and Southern California Council of Governments (SCAG). Mr. Mike Jacob is Vice President & General Counsel of the Pacific Merchant Shipping Association, an independent, not-for-profit maritime trade association with offices in Oakland, Long Beach and Seattle and represents owners and operators of US and foreign-flagged ocean-going vessels, marine terminal operators, ocean carriers, shipping lines, and steamship agents operating on the West Coast. Mr. Jacob joined PMSA in 2005. As Vice President and General Counsel he manages legal, public, and regulatory affairs for the Association, regularly appears before state, local and federal governmental bodies in various administrative and legislative capacities, and represents PMSA in state and federal courts on behalf of its membership. Mr. Jacob holds a JD from the University of California, Hastings College of the Law and a BA in Economics from the University of California, Berkeley. He is a member of the California State Bar, United States Supreme Court Bar, and the Maritime Law Association of the United States. Dr. Eleanor Kirtley is the West Coast & US Program Manager for Green Marine, North America’s leading environmental certification program for the maritime industry. Dr. Kirtley opened their Seattle office in 2014. She supports their diverse and growing membership and manages the ship owners’ technical committee. In addition to responsibility for the certification criteria on the vessel side, Dr. Kirtley oversees air emissions for the landside programs. For the six years prior, she was a consultant and project manager at Glosten. Within their ocean engineering and analysis group, she led vessel traffic and risk assessment studies. Dr. Kirtley completed her PhD in Naval Architecture and Marine Engineering from the University of Michigan in 2008. Ms. Tess Lengyel, Deputy Executive Director of Planning and Policy for the Alameda County Transportation Commission (Alameda CTC), has over 25 years of transportation-related experience. She directs all short- and long-range transportation planning for Alameda County and is responsible for policy, legislation and government, and community relations at Alameda CTC. Ms. Lengyel led development of the Alameda County Goods Movement Plan, approved in February 2016, and the $8 billion, 30-year 2014 Transportation Expenditure Plan, approved by 70.76 percent of voters in November 2014. She holds a bachelor’s degree in planning and policy/environmental studies. Ms. Jennifer Lucchesi was appointed by the Commission as its Executive Officer in 2012. Ms. Lucchesi began her career at the Commission in 1999, primarily working with ports and harbor districts to facilitate waterfront redevelopment. She has worked on projects in virtually every county in the state, with an emphasis on the Public Trust Doctrine, land use, waterfront redevelopment and boundary issues involving the state’s ports, harbor districts and waterways. Prior to her appointment as Executive Officer, Ms. Lucchesi served as the Commission’s Chief Counsel. Ms. Lucchesi holds a bachelor’s degree in Agribusiness from Cal Poly, San Luis Obispo and a Juris Doctor from McGeorge School of Law. Ms. Fiona Ma was elected in November 2018 as California’s 34th State Treasurer. She received more votes than any treasurer in California history. As the State’s banker, Ms. Ma oversees trillions of dollars in transactions annually. A certified public accountant, Ms. Ma oversees bond issuances and programs that fund schools, hospitals, affordable housing and small businesses. She sits on the CalPERS and CalSTRS governing boards, the nation’s largest public pension funds. She was a member of the State Assembly from 2006-2012. Most recently, she was an elected member of the California Board of Equalization from 2015 - January 2019. Ms. Renee Moilanen is the Manager of Air Quality Practices at the Port of Long Beach, the second busiest seaport in North America. She oversees the Port’s groundbreaking efforts to reduce port-related air pollution and community impacts, including a technology advancement program focused on zero-emissions equipment, incentives for cleaner ships and trucks, and annual tracking of port-related emissions. Ms. Moilanen holds a Master of Public Policy degree from UCLA in health policy. Mr. Kurt Nagle has over 30 years of experience in Washington, DC, related to seaports and international trade. Since 1995, Mr. Nagle has served as President and Chief Executive Officer for the American Association of Port Authorities (AAPA). Mr. Nagle began working at AAPA, the alliance of the leading public port authorities throughout the Western Hemisphere, in 1985. Prior to joining AAPA, Mr. Nagle was Director of International Trade for the National Coal Association and Assistant Secretary for the Coal Exporters Association. Previously, he worked in the Office of International Economic Research at the U.S. Department of Commerce. Mr. Nagle serves on the Executive Committee of the Propeller Club of the United States and is a former commissioner of PIANC, the International Navigation Congress. Mr. Nagle holds a Master's Degree in Economics from George Mason University. Mr. Job Nelson serves as the Assistant Vice President-External Relations for the Port of San Diego. In that role, he oversees marketing and communications operations, government and civic relations, and arts and culture for the Port District. Mr. Nelson was promoted from his previous role as Director of Government and Civic Relations where he directed all federal, state and regional lobbying efforts, as well as grants. He also worked for Mayor Jerry Sanders as Director of Intergovernmental Relations. He has written opinion pieces that have run in the San Diego Union- Tribune, the North County Times, and the Daily Transcript. Ms. Mary D. Nichols is Chair of the California Air Resources Board, a post she has held since 2007. She also served as Chair of the Air Resources Board from 1979-1983. Ms. Nichols has devoted her entire career in public and nonprofit service to advocating for the environment and public health. In addition to her work at the Air Board, she has served as Assistant Administrator for the U.S. Environmental Protection Agency's Air and Radiation program under President Clinton, Secretary for California's Resources Agency from 1999 to 2003 and Director of the Institute of the Environment at the University of California, Los Angeles. Her priorities as Chair include moving ahead on the state's landmark climate change program (AB 32), steering the Board through numerous efforts to curb diesel pollution at ports and continuing to pass regulations aimed at providing cleaner air for Southern California and the San Joaquin Valley. Ms. Nichols values innovation, partnerships and common-sense approaches to addressing the state's air issues. Assemblymember Patrick O'Donnell was first elected to the State Assembly in November 2014 to represent the 70th District, which includes Long Beach, San Pedro, Signal Hill and Catalina Island. Assemblymember O’Donnell is also a former Long Beach City Councilmember and a teacher with over 20 years of experience. Known as “the voice of the ports” in Sacramento, Assemblymember O’Donnell is the Chair of the Assembly Select Committee on Ports and Goods Movement. In this capacity, he works to educate his colleagues on the complex challenges and opportunities faced by the freight sector, supply chain and logistics industries. Representing an area that is a major source of employment to the region, he brings a balanced perspective to the Legislature. Mr. Tim Schott, Executive Director, is principally responsible for the organizational management, day-to-day administration, and operations of CAPA. 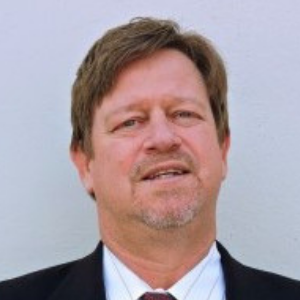 A recognized expert in state policy development relating to freight, transportation, land use, and local government, Mr. Schott has provided association management and advocacy services to CAPA since 1995. In addition to advocating before the Legislative and Executive branches of California state government, he regularly manages issues through the various regulatory and rule-making procedures of many state agencies, boards and commissions. Mr. Schott currently serves on a number of state advisory bodies and policy development partnerships, including the California Freight Advisory Committee, the State Rail Plan Advisory Committee, and the California Marine and Intermodal Transportation System Advisory Council. Mr. Schott graduated, with Honors, from the University of California, Santa Cruz, earning a bachelor’s degree in literature with an emphasis in political science. Mr. Eugene D. Seroka was confirmed as Executive Director for the Port of Los Angeles by the Los Angeles City Council on June 11, 2014. An industry-know leader, he brings more than 30 years of experience in shipping, global logistics and executive management to the Port. As Executive Director of the busiest container port in North America, Mr. Seroka is responsible for managing a $1 billion budget, leading a team of more than 900 employees, advancing major capital projects, growing cargo volumes, and promoting innovative, sustainable practices that improve Southern California’s economy and quality of life. Mr. Bruce Stenslie has 30 years of experience in workforce and economic development and has served since 2007 as President and CEO of the Economic Development Collaborative. Prior to EDC, Mr. Stenslie served as Deputy Director for the California Workforce Association, Executive Director for Workforce Policy for the City of Los Angeles and Assistant Director of the Ventura County Human Services Agency. 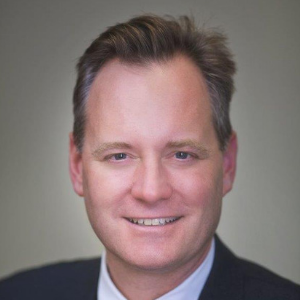 Mr. Stenslie was elected by his peers in 2013 as Chair of the California Association for Local Economic Development and in 2018 as Co-Chair of the California Stewardship Network. Mr. Stenslie is a frequently invited speaker on workforce and economic development policy and practice. Mr. Jeff Wingfield currently serves as the Director of Environmental & Public Affairs for the Port of Stockton. He is responsible for balancing commerce and growth with environmental sustainability. The department is responsible for environmental planning; dredging permitting and coordination, water and air quality; contamination characterizations; wildlife management; and establishment of policies regarding environmental quality issues. In addition, Mr. Wingfield oversees Public Affairs for the Port and is responsible for the overall communications activities including media relations and community outreach. He is also Vice-Chair of California Marine Affairs and Navigation Conference (CMANC), and serves on the Board for the California Maritime Infrastructure Authority and Bank as well as the Bay Planning Coalition. Mr. Wingfield earned a Bachelor of Science degree in Environmental Science from the University of Arizona. 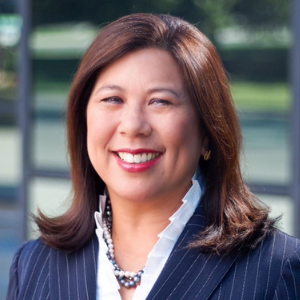 State Controller Betty T. Yee was elected in November 2014, following two terms of service on the California Board of Equalization. As Controller, she continues to serve the Board as its fifth voting member. Reelected for a second term as Controller in 2018, Ms. Yee is only the tenth woman in California history to be elected to statewide office. As the state’s chief fiscal officer, Ms. Yee chairs the Franchise Tax Board and serves as a member of the California Public Employees’ Retirement System (CalPERS) and the California State Teachers’ Retirement System (CalSTRS) Boards. These two boards have a combined portfolio of more than $570 billion. Ms. Yee also serves on the Ceres Board of Directors, a nonprofit organization working to mobilize many of the world’s largest investors to advance global sustainability and take stronger action on climate change.